This is Zoe, better known as “Piddles”. Zoe peed on her brand new bed. Don’t let her fool you–she wasn’t ashamed. Posted July 23rd, 2013 . Don’t hide Zoe. Be proud! Of course she peed on her new bed. It’s her bed. 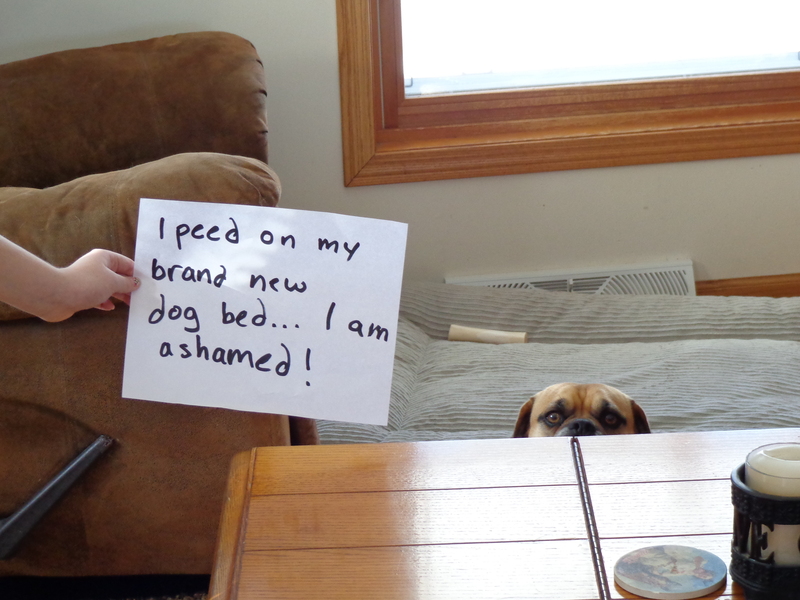 Even humans have a tendency to “pee” on things they claim as their own. Way to go Zoe. It will keep the “Monsters” away at night. That is the cutest pic! 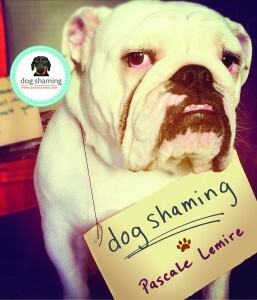 She is definitely ashamed at being shamed.